OmniSpear is excited to announce the latest website refresh for Clear My Head. We’ve updated the website to a mobile-friendly, more modern look and feel, with easier navigation to the increasing services and products. Sticking to the heart of our concept for the original site, we’ve kept the unique and bright color palette for visual appeal, while streamlining page access and updating photos to the latest products. Clear My Head features a Certified Clinical Aromatherapist and Licensed Massage Therapist, with specialty in the latest SHIFT massage treatments. They also develop and sell products using sustainable, organic and natural ingredients that smell great and do wonders for sinuses. Visit Clear My Head to explore and book your appointment today. 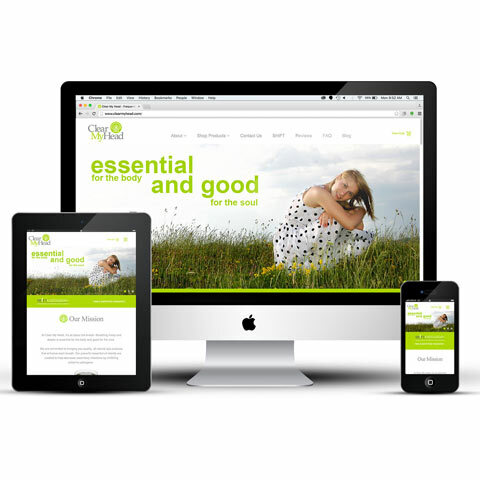 If you need a new site or a refresh to your existing, let us know and see what we can do for you.